A healthy diet and regular exercise are great ways to reduce heart disease. 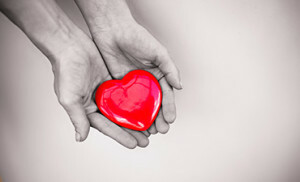 1 in 4 deaths in the US are caused from heart related issues and every 34 seconds someone has a heart attack. Many factors can contribute to heart disease, such as age, family history, physical inactivity and smoking. It is important to know all of the risk factors and go over them with your doctor to prevent heart disease. A healthy diet and regular exercise are great ways to reduce heart disease. Try consuming very little salt, transfats and saturated fats and add more unsaturated fats. Diet is a big fact when it comes to the heart and keeping the blood flowing smoothly and properly. Too much of foods like red meat, fried foods and baked goods can raise your cholestrol, increase blood pressure and can eventually lead to heart disease. Consuming a diet focused mainly on fruits, vegetables, whole grains and fish is a great way to try and keep your diet healthy and in balance. Exercising about 30 minutes a day 5 days a week helps to lower blood pressure, maintain body weight and reduce stress levels. One should aim for 20 minutes of vigorous exercise 3 days a week as well, if cleared by a doctor. If just starting a new exercise routine, work up to 30 minutes of exercise and build up your endurance and stamina. Walk around the block and try going up a few flights of stairs to begin. As you see progress with your breathing and find the exercises are getting easier, progress your workout. This will help strengthen your heart and make it work more efficiently. Talk to your doctor about the best ways to prevent heart disease and stay ahead of your health!